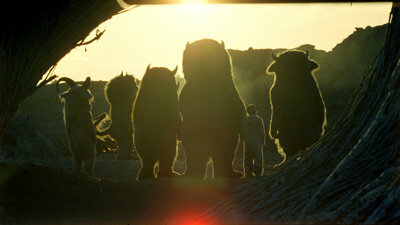 Where the Wild Things Are movie will, without question, rock your socks. This isn’t exactly a video game post, but it’s one that is immensely important to me nonetheless, as outrageous as that may seem. Maurice Sendak’s WWTA is my all-time favorite children’s story and I think the best one ever written (Goodnight Moon fanboys can go blow each other). A little boy who is pissed at his mother and journeys off sailing into a world of gregarious monsters is one epic little boy by most standards. Given the quality of the original creation, it is definitely necessary that the production team and cast be stellar. I’m happy to say that this requisite is being fulfilled, as the film has none other than the visual genius Spike Jonze directing. Add a solid cast – Paul Dano (There Will Be Blood, Little Miss Sunshine), Forest Whitaker, and Catherine O’Hara to name a few – and you have a fantastic adventure ahead of you. To say I’m eager for this release is not doing my childish emotions justice. 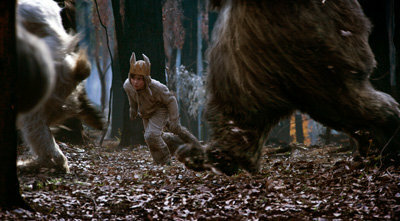 The film is currently in production (technically in the post-production phase) and will be released next October (2009).